Review copies of Destiny’s Escape are available for book bloggers and reviewers. 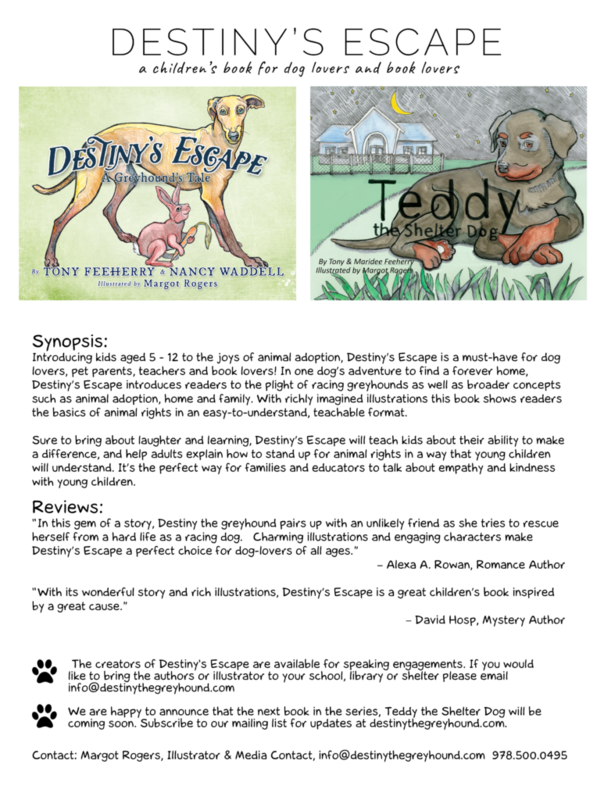 The authors of Destiny’s Escape are available for school visits and speaking engagements. Please email margot@margotrogers.com for more information. This children’s book press kit is available below. Destiny's Escape is a children's book. A moving tale of a clever greyhound who wanted to free herself from the hardships she faced as a racing dog. With the help of her rabbit friend Ruby, Destiny finds adventure, family, and a Forever Home. 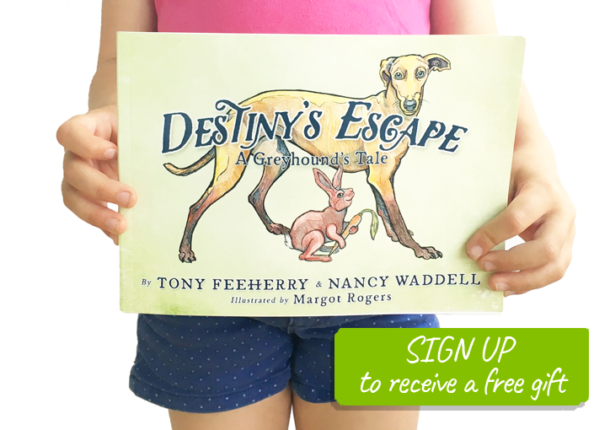 Inspired by the true stories of rescued greyhounds, this compelling adventure will enchant dog lovers of all ages. 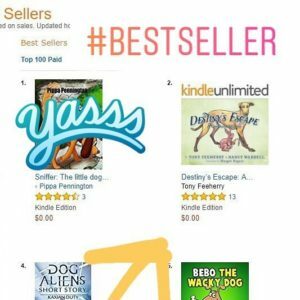 Have you reviewed our book on Amazon? 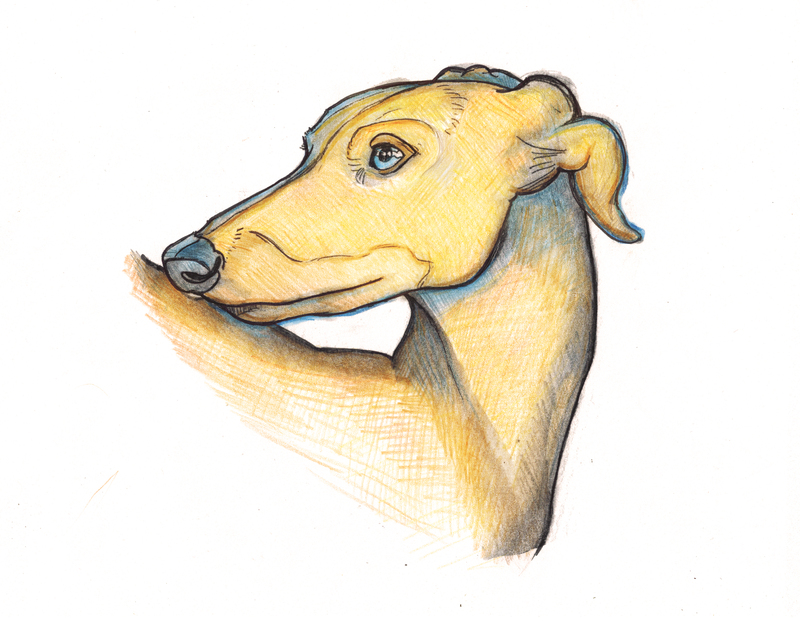 When you do, email your receipt to info@destinythegreyhound.com and we will send you a bonus coloring page as a thank you for your review. We're so glad you visited. Sign up for our newsletter for special offers and opportunities to connect. Thank you for joining us! We can't wait to connect with you.